When big brands start taking action, you know it is serious. Recently, IKEA and Starbucks announced their plan to get rid of plastic straws. This could be the start of some bolder initiatives. Both companies are keen to be perceived as being active around the plastic pollution issue. Starbucks’ objective is to replace 1 billion plastic straws with compostable alternatives by 2020. Starbucks currently has 28,000 outlets across the world and will introduce straws made from paper and compostable materials to replace the plastic ones. In addition, it will develop a recyclable lid as part of a $10 million investment that includes development of a sustainable cup. Starbucks have also experimented with charging a premium price for its cups, either to pay for the recycling or because it can get away with it with its hipster customers who wish to be more sustainably responsible. Currently a trial has been running in London for the past few months. It is expected that this will be rolled out to another 950 locations. Starbucks’ new straws will be available first in the US and then in Europe, starting with France, then the Netherlands and then the UK. For printers this perhaps does not mean much, however it is unlikely that Starbucks’ interest in sustainability improvements will be limited to straws. Producers of packaging and other variants of print should be ready to demonstrate their sustainability efforts to support Starbucks’ increasing number of environmental objectives. IKEA has a more ambitious set of goals, but it is following a similar route to Starbucks. IKEA has announced that its UK and Ireland stores will stop offering single use plastic straws. The company expects all stores to follow by 2020. Companies that provide print services such as IKEA should be aware that there is more to this than just removing plastic straws. IKEA has a very ambitious ‘People and Planet Positive’ initiative which incorporates all aspects of IKEA’s business, including its customers and suppliers. The objective is to “transform the IKEA brand, the industries in the IKEA value chain and life at home for people across the world”. This will be achieved by balancing environmental protection with economic growth via a new business plan. IKEA is taking a leadership position with customers and suppliers by using its bulk to push for change. IKEA’s objectives are in line with the United Nations Sustainable Development Goals, this is not just about print and packaging but about assisting people to get out of poverty and to live decent lives. Unfortunately, in all the lofty rhetoric there is not much information about managing packaging so that less of it is wasted or improving its carbon footprint. Is this another example of the invisibility of print or is this something that brands ignore because it is too problematic to fix? Perhaps, it is up to graphics industry professionals to take a stronger position on this, particularly large manufacturers. They should be contacting major brands to co-create packaging waste problem solutions. 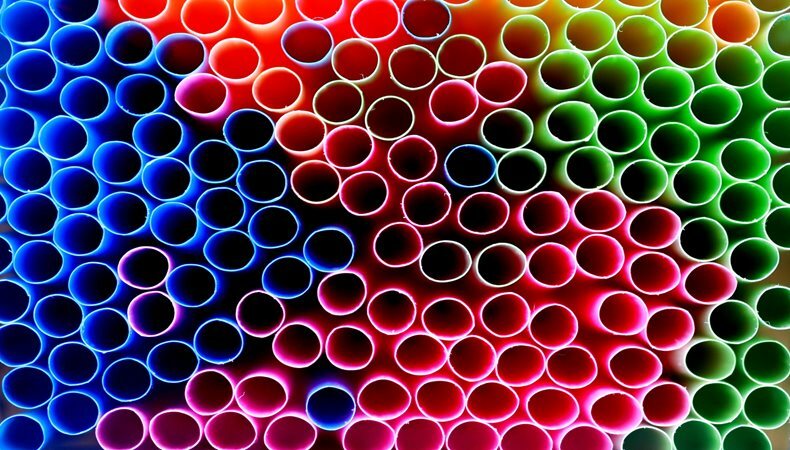 The straws are only the start.